Remember that game you stumble across at School Fete’s or raffles where you have to guess how many sweets are in a jar? I feel like this recipe is the food version of just that. 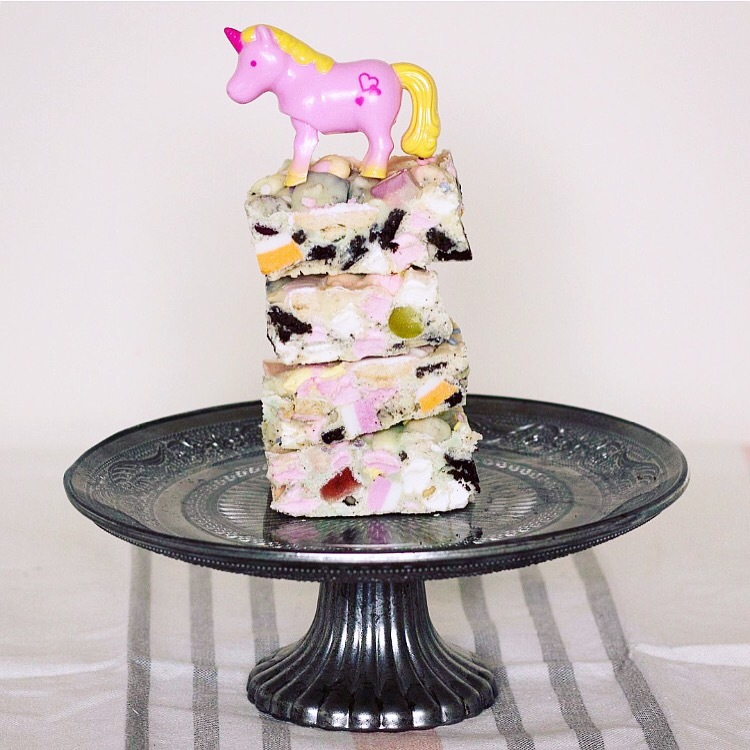 A colourful and magical take on my Oreo Rocky Road, this super delicious treat is bursting with almost every sweet you can think of and it’s made better by all the pretty colours, swoon. 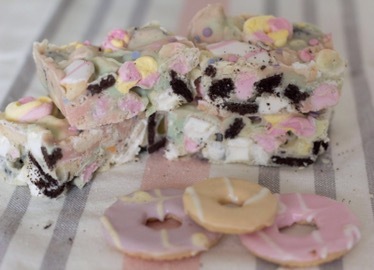 Made up of white chocolate, flumps, mini marshmallows, Oreos, Dolly Mixtures and Party Rings, this dessert isn’t short on calories or sugar but it tastes sensational and looks just as sassy as it sounds thanks to some pastel gel colours adding to the array of pastel colours. It’s the perfect party number to bring along to girls night. 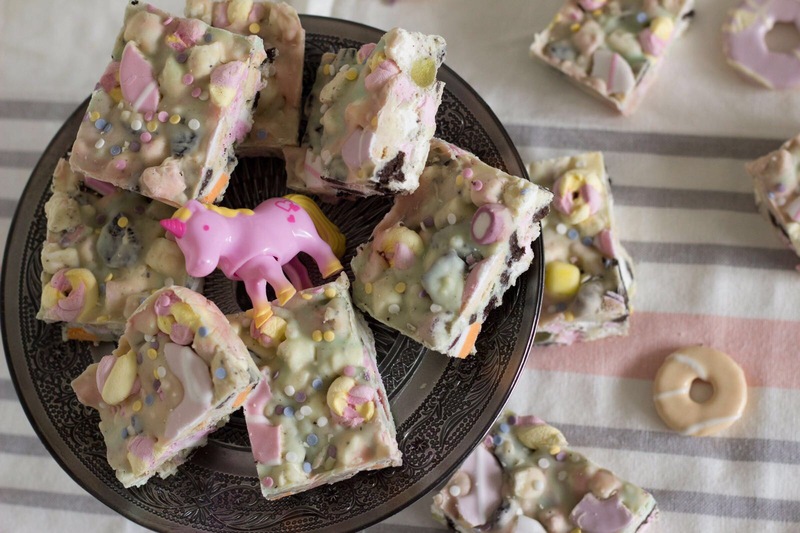 Note: To create the pretty unicorn colouring of the Rocky Road I use food colouring gels. They are much better than liquid as you can control the colour you want and only need the tiniest amount. 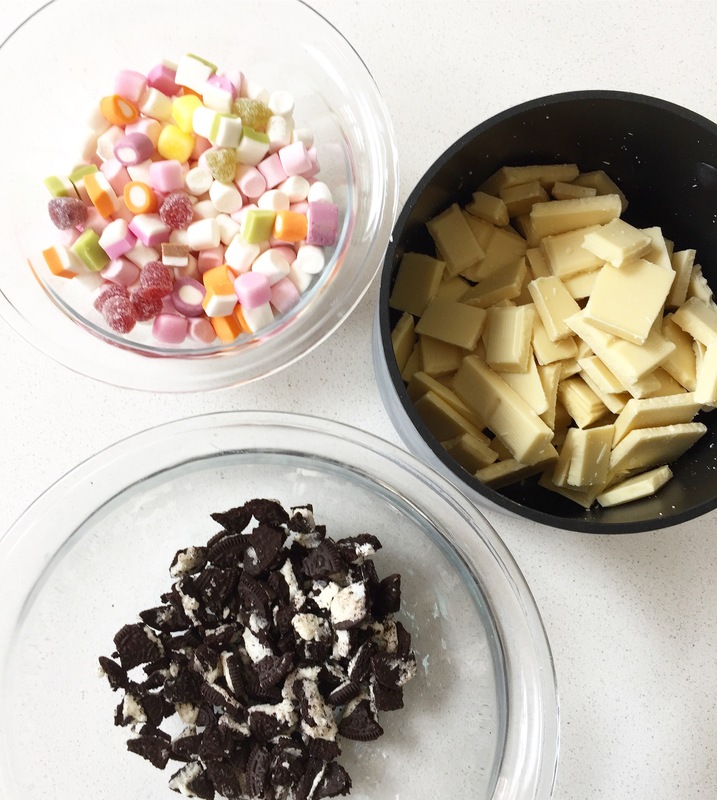 Just dip a cocktail stick into the pot of food colouring and work it into the chocolate/icing adding more gradually if you need to. Don’t forget to follow me on Twitter and Instagram for more foodie posts.